The ways in which mortgage lenders decide who to lend to can seem like a dark art – but it’s actually all based on fairly straightforward, if strict, criteria. One of the most important factors in whether your mortgage application is accepted is your credit score. So, what is this and how can you change it to improve your chances of getting a mortgage? A credit report is a bit like a financial CV. It contains information that helps lenders confirm your identity and decide whether you’re a reliable borrower. Credit reports include several key pieces of information related to your finances. First of all, they itemise any money you currently owe and your record of repayments – so any late or missed payments on credit cards or loans will show up here. There will be details of whether you’ve had any County Court Judgments (CCJs) made against you, if you’ve entered into an Individual Voluntary Agreement (IVA) or if you’ve been made bankrupt. Your report will also include your address, date of birth, whether you are on the electoral roll and any financial connections – for example the name of the person you share a joint account with. Currently, credit reports don’t automatically include evidence of you paying your rent on time. However, if you’re keen for your regular rental payments to count towards your credit score, you can choose to sign up to the Rental Exchange scheme which sends your payment records to Experian, one of the biggest of the credit report agencies. As well as presenting your financial situation, credit reports include an overall ‘credit score’ based on your level of debt and how you manage it. Lenders will look at your credit score when you apply for a mortgage to get a snapshot of your overall financial health. 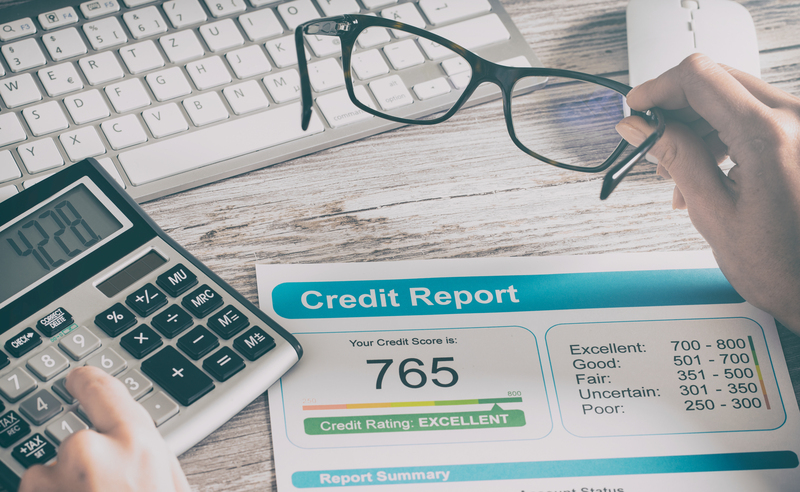 The three biggest credit report agencies – Callcredit, Equifax and Experian – each use a different scoring system, so you may find that you have a better score with one than another. Some lenders will use data from just one of these companies while others may use two or more, so it’s worth checking your score with each agency. Before applying for a mortgage you should take a look at your credit report – and the sooner you do this the better, as it’ll give you more time to iron out any issues before applying. By law, you can view a copy of your report for £2, but this will only offer a snapshot and won’t tell you your actual credit score. The three main credit agencies all offer a more comprehensive monthly report including your score for a fee, but there are usually ways of accessing this information for free by taking out a trial – look online for the latest offers. Mistakes on your credit report can range from an old home address to inaccurate information being provided by a bank or one of your utility providers – or even attempted fraudulent activity by a third party. If you spot a mistake, you can contact the company directly or raise a dispute with the credit reference agency. Once you’ve raised a dispute, the agency has 28 days to decide whether it is removed, amended or left as it stands. If the agency doesn’t authorise the amendment, you can add a ‘notice of correction’, where you are able to explain why you think the information is inaccurate. Applying for any form of credit – whether it’s a credit card, mortgage or loan – can all have an impact on your credit score, so it’s best not to apply for any credit you don’t really need in the run-up to applying for your mortgage. Mortgage applications will also show up, whether they were rejected or accepted, so it’s worth getting your credit rating into the best possible shape before applying for anything. You should also use a whole-of-market mortgage broker who’ll be able to recommend the lenders most likely to accept your application. One really quick, easy step you can take to improve your credit rating without taking out any credit is to ensure you’re on the electoral roll at your current address. Is debt bad for my credit score? Not necessarily. When lenders work out how much you’re likely to be able to afford to pay back each month (known as an affordability assessment), they take a whole host of factors into account – including the type of debt you have, your payment history and the effect of any outstanding debts on your overall finances. Banks will often use debt-to-income ratios, which show how much debt you have as a percentage of your income. There’s no magic number – but, as you might have guessed, the lower your ratio the better. 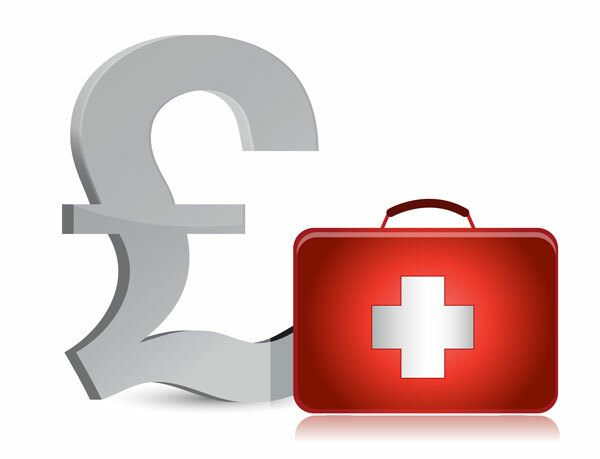 Lenders also assess the whole ‘spread’ of your credit, and some loans are seen as being lower risk than others. For example, a car loan that you pay back every month might not present a major issue, but a history of using payday loans will be a major red flag to lenders – in fact if you’ve recently used short-term credit like this you may not be able to get a mortgage for at least a year. If you are in financial difficulty and your debts are no longer manageable, it’s important to contact your lender as soon as possible to inform them and ask for help. It’s better for you to be upfront than to repeatedly miss loan or credit card repayments with no explanation. Should I take out a credit card? Having a credit card isn’t in itself a bad thing. Lenders will look at a variety of elements of your credit card usage before deciding whether or not it’s something to be concerned about. Missed and late payments can cause significant issues, especially if they’re recent, while only paying the minimum off each month could also be a sign that you are struggling. But, as crazy as it might sound, having no debt at all could also have a negative impact on your credit score. This is because lenders look for evidence that you can pay back what you borrow – so if there’s no record of you having successfully paid off debt, this could potentially count against you. Having a credit card that you pay off in full each month will show lenders that you can be trusted to pay back what you’ve borrowed. It’s worth bearing in mind that banks will take your ‘credit utilisation rate’ into account when considering your application. This basically involves dividing your current credit card debt by your available credit limit. Again, there’s no hard-and-fast rule for an acceptable credit utilisation rate, but it’s generally recommended that you keep yours below 30%. That doesn’t mean that you should keep dormant accounts with high credit limits open if you’re not using them, as in some cases high credit limits – even if they’re not being utilised – could harm your chances of getting a loan. Few of the major high street banks will consider applications from people with bad credit histories, but a handful of the larger building societies and a range of more specialist lenders will accept those with poor credit scores. Of course, there are caveats. There’s no guarantee that you’ll be offered a deal with a good interest rate, and you may need a deposit of up to 20% before a lender will consider your application. With this in mind, it can be helpful to seek advice from a whole-of-market mortgage adviser such as Which? Mortgage Advisers (0800 980 3824), which will look at all the deals available (including mortgages only available to brokers but also ones you can only get by applying directly), in order to find the very best option for your individual circumstances. While having a poor credit history can certainly be a significant barrier to getting a mortgage; don’t be disheartened – there are steps you can take to improve your chances in the future. First of all, give it some time and repair your credit history. Your more recent credit history will be of the most interest to lenders, so if your financial situation has begun to improve, continue to maintain consistent on-time payments and use any credit you have responsibly. Finally, if you possibly can, keep saving in order to build a bigger deposit. Having a larger lump sum to put forward will help you access better deals and allow mortgage lenders to see you as a more appealing person to lend to.